You can upload a product right now, within a few minutes and could sell it numerous times just today! There is no cost to you whatsoever. 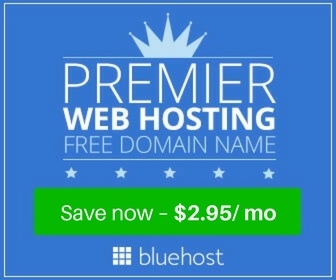 The only fees you will incur are eBay and PayPal fees. But they come after you’ve made a sale and a profit already. There are over 171 million active users on eBay, according to Statista. eBay has become so successful at helping sellers reach buyers, that now, around 40% of home businesses that sell online don’t even have a website. They sell on eBay instead! They already have 171 million active users now, but it’s still growing every single day. So it’s never too late to start selling and earning money online! If you’re looking for a legitimate way to make a full time income online then click the button below to see my number 1 recommendation that’s helped me make over $500,000 in the last 12 months from home. This step is self explanatory. Before we start selling and earning money online, we need to make an eBay account. Go to the eBay website by clicking here and register your account. So now we’ve got our account created, we can start straight away researching items to sell and start earning our commissions! This is the longest step and can take some practice finding items to sell. But don’t worry, after you’ve found that first item, it all gets easier from there. Get creative, think of an item that you think people will want to buy. Try not to find an item that’s too popular or an item that nobody is buying. We want something kind of in the middle. We also want something that we can make a decent profit on. So don’t look for items that are very cheap that we would only make a couple of bucks profit on. 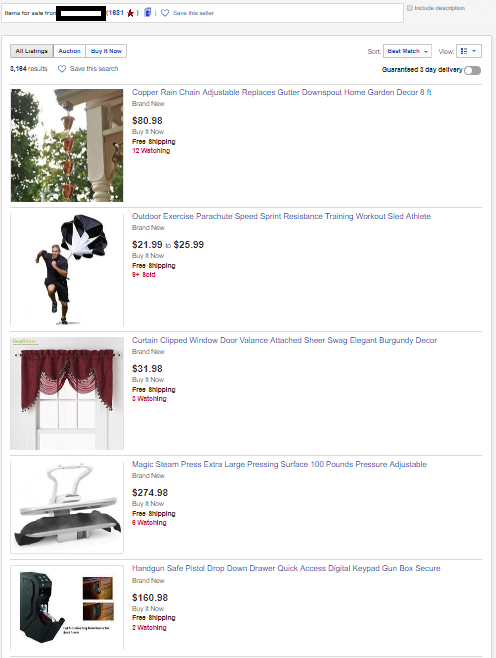 I tend to look for items that are $100 or more and have a profit of at least $30 per sale. Otherwise, it’s not really worth our time. 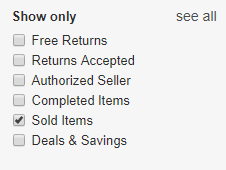 When searching for the items you want to sell, on the left hand side of the screen you will see “Show only“, under that list, make sure the “Sold items” button is ticked. This way, eBay will show us only items that have been sold recently. This is what we want, because we know people are buying these items. For this example, I searched on eBay for “Countertop pizza oven“. I clicked “sold items” on the left hand side and then scrolled down until I found an item that I thought might work. Sticking to my criteria of finding something over $100. 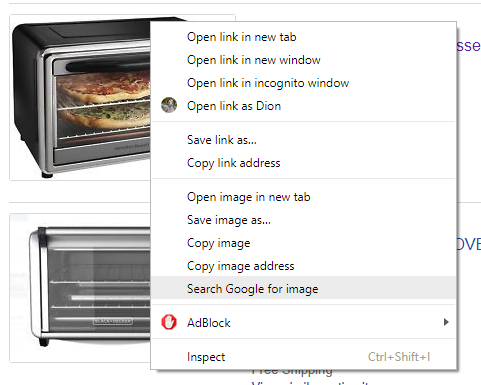 The next trick is to right click the image they have used and click on “Search Google for image“. 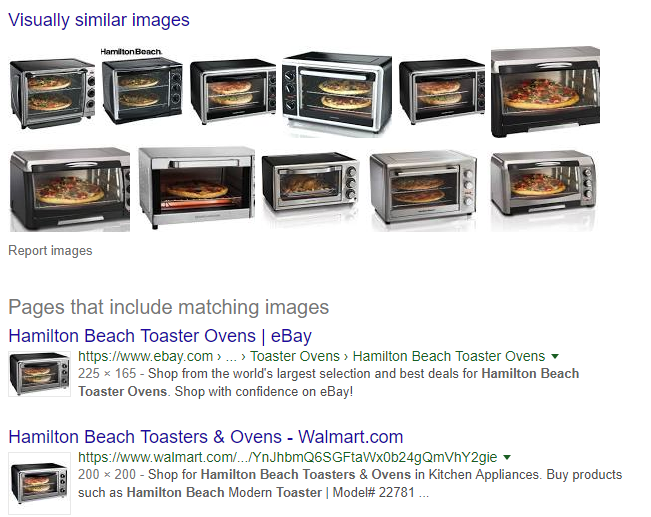 This will search all of google for websites that are using the same image. We’ve found our first item! The hardest step is now complete! The next step is to find someone who’s doing the exact same thing as us. Selling items on eBay and dropshipping them to customers from other websites. If you’ve completed step 2, then this step is simple. Because more than likely, the person the sold the item we found is the seller we’re looking for. So we can click on the item and look at the sellers profile. We can then check what other items they’re selling. Turns out, I was correct. This seller is doing the exact same thing as we’re trying to do. However, this person is for sure doing this full time. Probably earning a huge income online by selling on eBay. 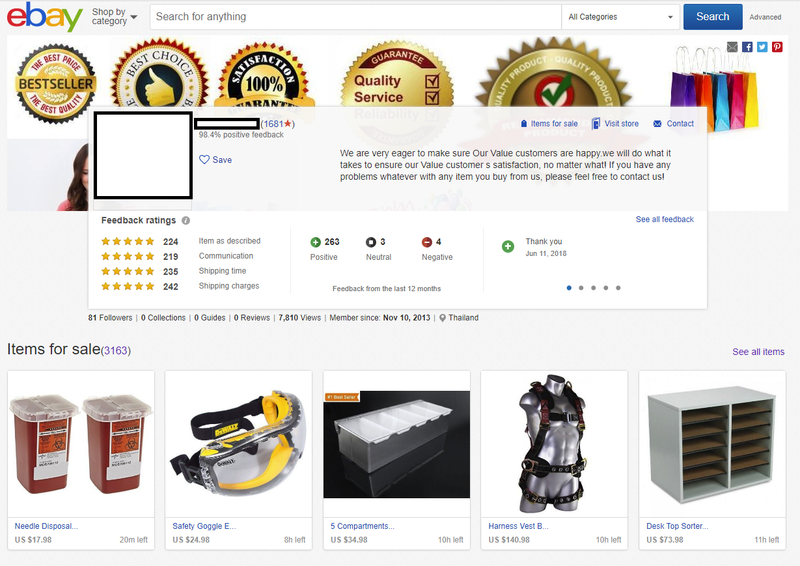 They have 1600+ positive reviews and have over 3000 items for sale. So now we’ve found our seller, it’s time to move on to the final step. Step 4: SELL, SELL, SELL! Where we can start actually making money with eBay. With that seller we found, we’re going to go through his items, choosing ones we want to sell and basically completing step 2 again. Every item we look at on his profile, we’ll right click the image and click once again “Search Google for image“. Every item we do this for, if we find it cheaper on another website than this seller is selling it for, we’ll use that item too and we’ll also sell it ourselves. But make sure you put it at a slightly cheaper price than this seller has it for, so we show up higher on search results. It’s As Easy As That..
We’re basically done now. Those are the 4 simple steps to make money online by dropshipping on eBay. It’s now up to you to find some items to sell, start an auction on eBay for each item and get selling. I Made a Sale, Now What? So once you’ve made a sale, this is where the dropshipping aspect comes in. You’ll obviously have the customers delivery address once they’ve purchased from you. So now you’ll have to go to the other website where you found the item for cheaper than you sold it for, buy it from that website and in the delivery address, enter your customers address. You don’t want your customer to see the receipt from where you purchased the item. So what we’re going to do is if the website has a “Send As A Gift” option, we’re going to select that. This way, they won’t send a receipt with the item. You’re now ready to start selling and earning an income online!